Returns are F.O.B. Buyer and are subject to a 20% restocking fee. 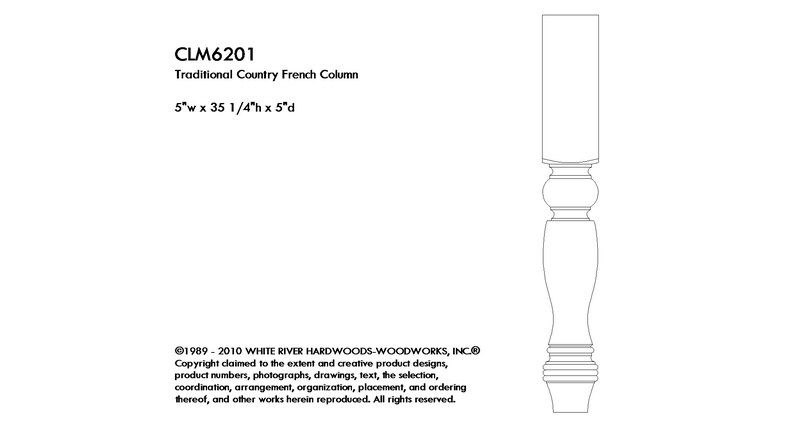 White River's Column, Corner Posts and Feet Collection offers profiles in Maple and Cherry. This Collection features complimentary sizes in full and half columns and feet. Popular motifs include acanthus, fluting, ropes and weaved. These profiles offer architectural detail for the entire project from millwork details to kitchen cabinetry, islands, mantels and transforming specialty cabinetry into furniture. These profiles are in-stock in Maple and Cherry, ship unfinished and can stain or paint.